The Dr. Gary Burnstein Community Health Clinic is so successful and effective thanks to its impressive corps of volunteers – we could not have the same level of impact without each and every one. If you are a physician, nurse, dentist, pharmacist, chiropractor, medical student, resident, event planner, administrative master, grant writer, fundraiser, or human with a good heart, we would be honored to have your expertise and your generosity! Check out the tabs in this section to learn more about the ways to help keep our clinic running smoothly and beautifully. Many of our pre-professional students find that their time at the clinic facilitates their application to their chosen professional programs. We will be happy to write a letter of recommendation after six (6) months of volunteering. This gives us time to get to know you and write the kind of letter that will make a difference in your application. If you’re interesting in helping GBCHC by volunteering, please use the menu below to see what we’re currently in need of. Once you’re ready, please use the form to submit your application. We are always in need of nurses and doctors of any background. 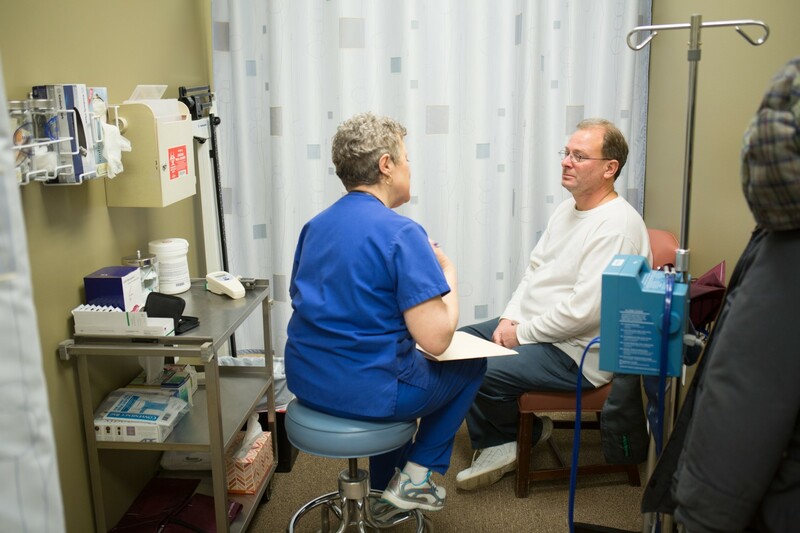 Medical staff is needed three times a week, during our regularly scheduled medical clinic: Tuesday and Friday mornings from 9am-12pm, and Thursday night between 6pm and 9pm. We carry our own malpractice insurance, and we do not bill. This means there is no pile of paperwork for you to get through. All we ask of our volunteer professionals it to help people get healthier. We can use dental volunteers any time, any day. Even those fortunate enough to have medical insurance often lack dental coverage. At the GBCHC, we are proud to address this issue by providing cleanings, fillings, and extractions for patients in need. We carry malpractice on all procedures done here at the clinic. The Dr. Gary Burnstein Community Health Clinic has a dedicated on-site pharmacy, accessible to all of our patients. Pharmacists are needed during medical clinic hours to supervise the filling of prescriptions from our pharmacy for those prescriptions written during clinic, as well as the mentoring of future pharmacists. Medical clinic hours are Tuesday and Friday, from 9am until 12pm, and Thursday evenings from 6pm to 9pm. Our clinic is a great environment to learn more about your future profession, in the medical, dental, or pharmaceutical field. We always welcome more support in achieving our daily projects that help keep a free clinic running effectively and efficiently. Pre-Professional volunteering opportunities at the Burnstein clinic are highly valuable and fiercely sought after. On average we receive 10 applications for each person that we take on as a pre-professional volunteer. It is an amazing opportunity and will profoundly impact your future. At the GBCHC there is always something going on and friendly people of any background are always needed. We welcome help to achieve all the daily projects that keep a free clinic running. The GBCHC currently runs one big event each year – The Esteemed Women of Michigan luncheon, honoring women in Michigan who have worked to make appositive impact on the world around them. If you are interested, please fill out the Contact Form on the sidebar of this page, and someone will reach out to you shortly. Thank you for your generosity. What does social science research reveal about group investment and penetrating difficult-to-reach communities? How do different population segments respond to marketing including what are the most effective and best/most effective practices? How can GBCHC better quantify our services and assign a value to them? How can GBCHC quantify our social impact? Needs analysis of the community: what clinics are in the area? What services are not offered that would be most needed? Can GBCHC access 340b pricing available to hospitals? Can GBCHC be a drug disposal site? Follow up with GBCHC patients to find out if they were able to access those resources. What forms of communication work best for our patients? How can GBCHC improve community relations? Donated items for Dream Cruise, EWM, roadkill nights etc. If you have a medical background, in what field? Your reference should not be related to you. Medical area you would like to volunteer in? Non-Medical area you would like to volunteer in?